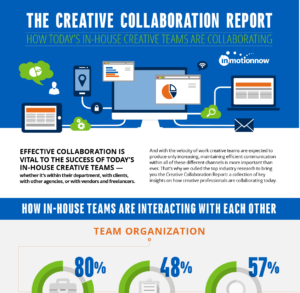 Effective collaboration is vital to the success of today’s in-house creative teams. And with the velocity of work creative teams are expected to produce only increasing, maintaining efficient communication within all of these different channels is more important than ever. The Creative Collaboration Report is a collection of the key insights today’s creative professionals need to collaborate better. Get industry intel in an easy to understand infographic!